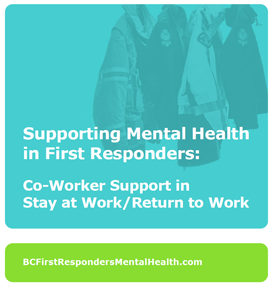 When an employee has been off work due to a mental health condition, co-worker support can mean the difference between a successful and unsuccessful return to work. Co-workers and their attitudes are a key component of an employee successfully reintegrating into the workplace. Supervisors (or line managers) play key roles in building this co-worker support as they manage the occupational relationship between the employee and the employee’s coworkers.